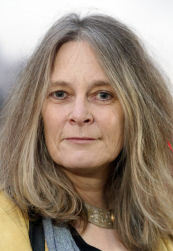 Susan Musgrave is the author of 19 books of poetry, numerous works of fiction and non-fiction, and several books for children. She has been the recipient of multiple awards including the Matt Cohen Award, the BC Book Awards, and Taste Canada Awards. She lives in Haida Gwaii where she is the proprietor of Copper Beech House. Susan Musgrave is a poet and a writer but she is also the proprietor of the beautiful bed and breakfast, Copper Beech House one the remote archipelago of Haida Gwaii. 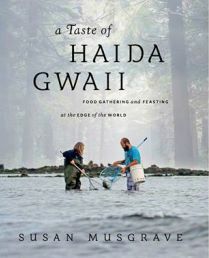 A Taste of Haida Gwaii is filled with recipes and stories accumulated over the years at the Copper Beech House, told with Musgraves humour and incisive wit. In this cookbook, you can find such delicious recipes as Rose Spit Halibut with Wild Rose Petals or (Almost) Flourless Chocolate Torte with Thimbleberry Elderflower Liqueur Coulis. More than collecting recipes, Musgrave follows the seasons with guides to gathering local ingredients for recipes that reflect Canada's wild West Coast. This book offers a unique take on food that could only be developed living on the remote islands.